Thomasville, GA - October 1: Biologist Jim Cox in the Wade Tract Preserve. 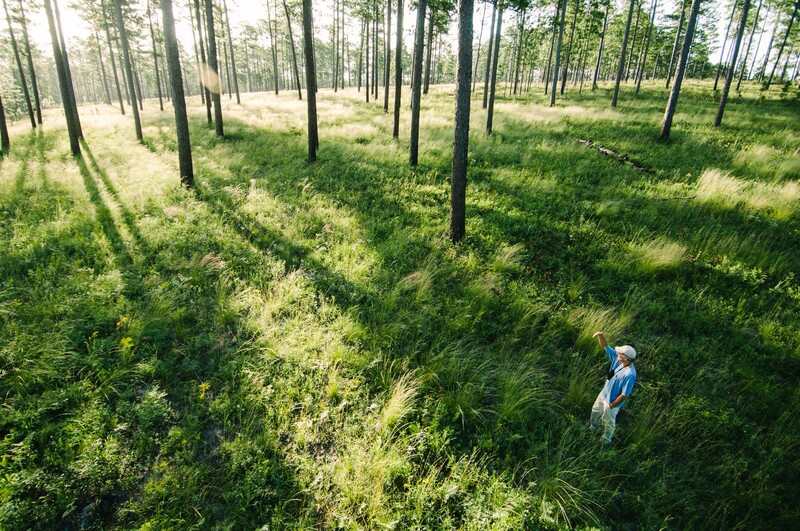 The Preserve is a 200-acre old-growth research plot managed by Tall Timbers Research Station near Thomasville, GA. The Wade Tract is one of only a very few old-growth stands that has been managed with fire for decades.